Nathan Cleverly: I'm Going To Do a Number on Badou Jack! Nathan Cleverly will defend his WBA World Light Heavyweight title against Badou Jack on the undercard of the Floyd Mayweather vs. Conor McGregor blockbuster at the T-Mobile Arena, Las Vegas on Saturday, August 26, live on Sky Sports Box Office. Cleverly defeated hometown champion Juergen Braehmer last October to pick up the WBA title and makes his first defence against Jack, who steps up a weight after a two-year reign as WBC World Super Middleweight champion. 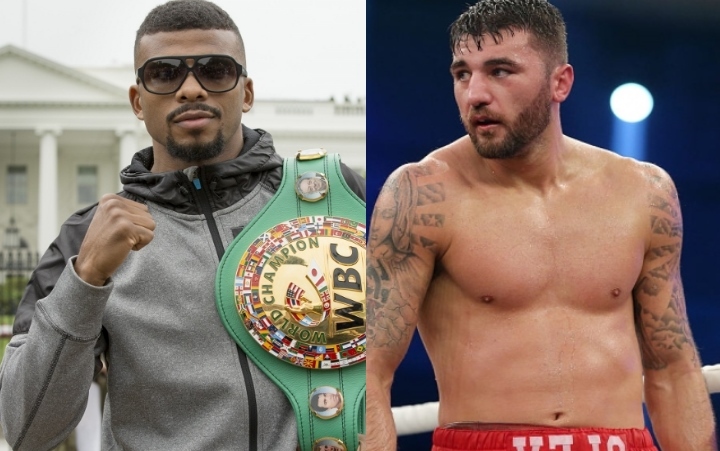 "This is a fight I have wanted ever since Badou Jack moved to Light Heavyweight and I'm delighted to fight in Vegas on an event like this,” said Cleverly. “I've trained long and hard for this fight and I'm ready to be let off the leash. This is the biggest fight of my career so far and I'm going to do a number on Badou Jack on August 26." “I’m thankful for this opportunity and I’m excited about getting another shot at a world title,” said Jack. “To be a part of this event and fighting on this card is historic. Nothing beats it. I’m excited to get back in the ring. I’m getting ready to take that belt, and win a title in my second weight class. Promoter Eddie Hearn added: "I'm delighted to get this fight made - it's a great fight on a huge night of boxing. Cleverly vs. Jack have styles that will gel into an all action fight and we are confident our man will be returning with the belt." Gervonta ‘Tank’ Davis’ second defence of his IBF Super Featherweight World title against undefeated challenger Francisco Fonseca has also been added to the Mayweather vs. McGregor card as the 22 year old looks to continue his reign as America’s youngest current World champion. Cleverly vs. Jack forms part of the Mayweather vs. McGregor show to be aired live on Sky Sports Box Office. [B]Cleverly: "fans can expect a win by knockout or decision"[/B] Any other way you can win a fight?